Discover the best of Florida's Gulf Coast at *Camaron Cove*, located on the Gulf of Mexico in the residential beach community of Indian Rocks Beach. 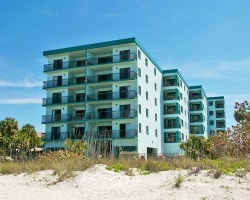 The resort is convenient to all of the attractions of the Suncoast. Walk from the resort onto the sandy beach and into the water. Take a dip in the on-site heated swimming pool or whirlpool. Relax in the spacious two-bedroom, two-bathroom units that are 1,400 square feet. Watch the dolphins at sunset from your private balcony. Beautiful resort overlooking the water! Enjoy breathtaking sunsets from your room! Week 6 every year! Inquire for details! Beautiful gulf coast resort! 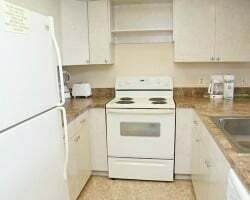 Unit features a balcony & whirlpool! Buyer may receive a title fee credit, inquire for details! Enjoy the best of Florida's Gulf Coast at Camaron Cove! Buyer may receive a title fee credit, inquire for details! Relax on white sand beaches each year in week 46! Escape the cold and soak in the Florida sun! Perfect for family getaways! Inquire today!